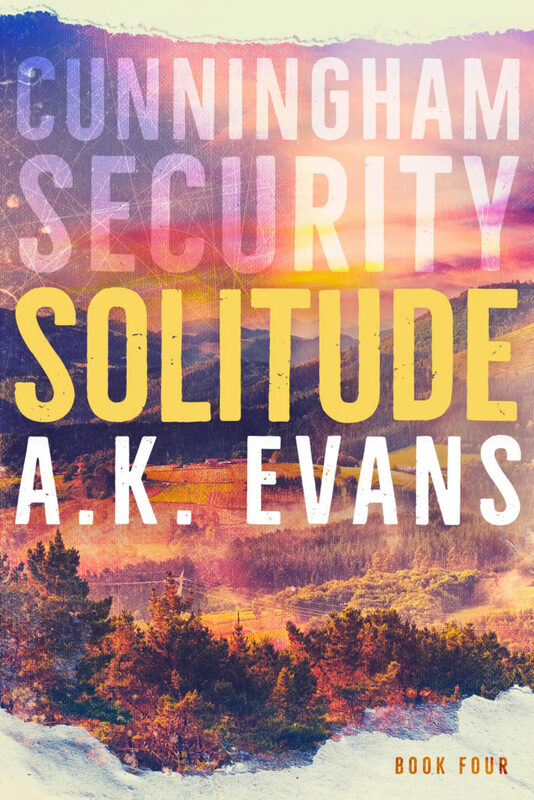 Today We have the gorgeous cover reveal for A.K. 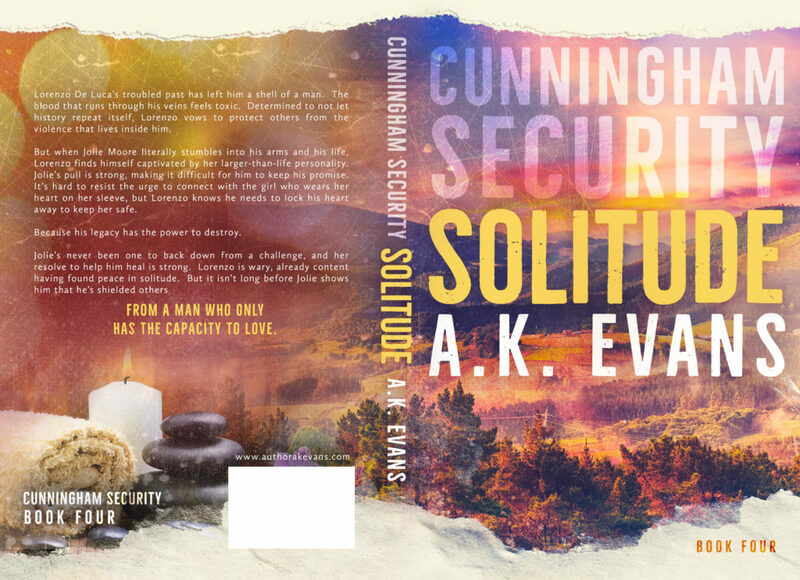 Evans upcoming romance, Solitude. Check out the reveal today and be sure to pre-order your copy before the release February 12th! Lorenzo De Luca’s troubled past has left him a shell of a man. The blood that runs through his veins feels toxic. Determined to not let history repeat itself, Lorenzo vows to protect others from the violence that lives inside him. But when Jolie Moore literally stumbles into his arms and his life, Lorenzo finds himself captivated by her larger-than-life personality. Jolie’s pull is strong, making it difficult for him to keep his promise. It’s hard to resist the urge to connect with the girl who wears her heart on her sleeve, but Lorenzo knows he needs to lock his heart away to keep her safe. Because his legacy has the power to destroy. Jolie’s never been one to back down from a challenge, and her resolve to help him heal is strong. Lorenzo is wary, already content having found peace in solitude. But it isn’t long before Jolie shows him that he’s shielded others from a man who only has the capacity to love. Pulling my phone out, I saw Ava had sent several texts. OMG. I found the perfect guy for you. He’s not blonde and he’s really, really tall. A second text followed that. Jojo, this man. I started laughing until I continued on to her third text. I just approached him. Oh no. I was going to kill her. I knew this once I read her fourth and fifth text. He’s single. I’ve confirmed it. He seems like he could be interested in a good time. And he’s nice. I finally responded. What is wrong with you? She replied almost instantly. Nothing. Get over here. I’m still over by the bar. I’ll just make a quick introduction and skedaddle to our reserved area. I let out a sigh. As I walked over, I came up with a game plan. I figured if the guy was hot and seemed nice enough, I could have a drink with him. If not, I’d blame my inability to chat on needing to not ditch my co-workers. When the area of the bar where Ava and I had been sitting earlier came into view, I thought my eyes had to be deceiving me. Ava’s back was to me as she was rambling on about something, likely me, to the man next to her. I had to give her credit. The guy was gorgeous. He wasn’t blonde and he was tall. There was one small problem, though. The man was Lorenzo. I took in a deep breath, let it out, and moved over to her. “…and it’s been a while for her. I just want her to have a good time tonight,” Ava said until she stopped speaking because Lorenzo was no longer paying attention to her. He caught sight of me, ran his eyes over the length of my body until they settled on my face, and never returned his attention to my outspoken friend. Ava noticed he was distracted and turned around to find me standing there. “Here she is,” she declared. “Jojo, this is…I’m sorry, what’s your name?” “Lorenzo.” “Right, sorry,” she muttered. “Jojo, this is Lorenzo. And Lorenzo, this is my friend, Jolie. Everyone calls her Jojo.” I looked to Lorenzo and asked, “Would you excuse us one second?” He gave me a nod. I grabbed Ava’s hand and dragged her a few feet away as she called out to him, “Save her seat!” When we’d moved out of earshot of Lorenzo, I leaned in and seethed, “What did you say to him?” Oblivious to what she’d just done, she was grinning from ear to ear. “First, I confirmed that he wasn’t here with anyone and that he wasn’t meeting anyone. Once I established that he was single and available, I told him, in not so many words, that I had a friend who needed some companionship before we had to buy stock in batteries.” I closed my eyes and stood up straight to pinch the bridge of my nose. “Please tell me you did not do that.” “Jo, have you seen him?” she cried. “That guy is gorgeous. I know you’d prefer to have a relationship, but if that guy can give your hands a break for the night, why not? !” “I know him!” I nearly exploded. She jerked her head back in surprise. “You know that guy and you haven’t hooked up with him?” Just then, a few more of our co-workers had arrived and walked up to us. I took in another deep breath and advised, “I’m going to go deal with the colossal mess you’ve just put me in. I’ll meet up with you in a few minutes.” Ava took off with the girls from work and I turned back to Lorenzo. I was in big trouble. A.K. Evans is a married mother of two boys residing in a small town in northeastern Pennsylvania. After graduating from Lafayette College in 2004 with two degrees (one in English and one in Economics & Business), she pursued a career in the insurance and financial services industry. Not long after, Evans realized the career was not for her. She went on to manage her husband’s performance automotive business and drive the shop race cars for the next thirteen years. 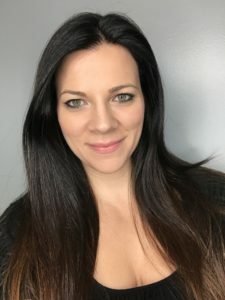 While the business afforded her freedoms she wouldn’t necessarily have had in a typical 9-5 job, after eleven years she was no longer receiving personal fulfillment from her chosen career path. Following many discussions, lots of thought, and tons of encouragement, Andrea decided to pursue her dream of becoming a writer. Between her day job, writing, and homeschooling her two boys, Evans is left with very little free time. When she finds scraps of spare time, Evans enjoys reading, doing yoga, watching NY Rangers hockey, dancing, and vacationing with her family. Andrea, her husband, and her children are currently working on taking road trips to visit all 50 states (though, Alaska and Hawaii might require flights).